The Full Nerd ep. 60: MacBook Pro throttling vs. Core i9 laptops, will Core i7 lose hyper-threading? Speeds, feeds, and boneheaded laptop design. In this episode of the Full Nerd, Gordon Mah Ung, Brad Chacos, Alaina Yee, and Adam Patrick Murray dig deep into the nuances of how Intel’s most powerful Core processors work—and announce a giveaway for one of the best CPUs available today. Plus, we get to dump on Apple! Yep, we start things off with the outrage du jour: The nasty throttling that occurs when you load up the beastly Core i9 processor in the new MacBook Pro. Gordon’s been helping Macworld dig into the issue. Rather than rehash all that, we delve into how overall laptop design and thermal concerns can greatly affect system performance, especially when you try to cram a monster like the Core i9 into a slim, trim MacBook. We compare Apple’s performance against beefier Windows laptops like the Alienware 17 R5, a hulking rig that gives Core i9 room to roar—and leaves the MacBook Pro’s performance in the dust. Be sure to check out Gordon’s recent unboxing of the Core i9-equipped Dell XPS 15, too. Next, we address rumors of the first eight-core Core chips, ostensibly called the Core i9-9900K and Core i7-9700K in leaks. The big difference between the two? The Core i7 version lacks hyper-threading. Is Intel’s next-gen CPU stack going to strip hyper-threading from Core i7 chips to create more clear lines between Core i5, Core i7, and Core i9? If so, today’s six-core Intel flagships like the Core i7-8700K could have more total threads than their successors. Insert thinking face emoji here. 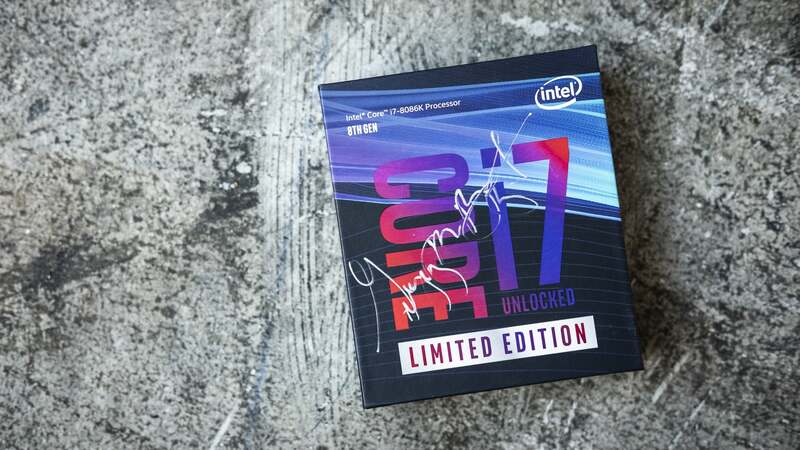 Speaking of which, we’re giving away a limited edition Core i7-8086K signed by Intel PC chief Gregory Bryant! That makes this particular chip super-duper-ultra-rare. If you want to start living the blisteringly fast 5GHz life, be sure to get your entries in before next Thursday, when the giveaway closes. And as always, we wrap things up with questions from viewers. You can witness it all in the video embedded above. You can also watch The Full Nerd episode 60 on YouTube (toss us a follow while you’re there) or listen to it on Soundcloud if you prefer the audio alone.